This is me on a soapbox. But it’s my son’s birthday tomorrow so I’m allowed. This makes The Little Blogger and I very, very sad. Because, you see, although we didn’t adopt TLB from a shelter, we did adopt him from a rescue organization. It breaks my heart to know that millions of dogs, cats, and other animals just as wonderful (ok, maybe not quite as wonderful…but I guess I am biased!) as Teton are out there in need of homes. And now I’m standing tall on this soapbox and urging you to adopt, adopt, adopt! I have a great respect for purebred dogs. I grew up with them (Siberian Huskies, in fact) and know how wonderfully unique they are. But did you know that about twenty-five percent of dogs who enter shelters across the U.S. are actually purebred? (http://www.aspca.org/about-us/faq/pet-statistics.html) So who’s to say that you can’t have the best of both worlds and rescue a breed that you have your heart set on? When we decided that we were ready to get a dog we thought long and hard about what kind of breed we might want. 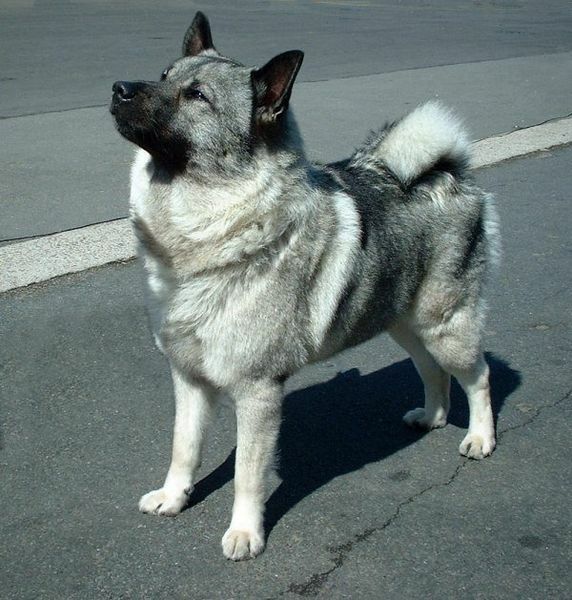 We were very interested in Norwegian Elkhounds and even considered adopting a 6-month old puppy from a breeder. But something stopped us. I think we knew from the very beginning that we wanted to adopt a puppy from a shelter or rescue organization. So, I started perusing a website that you may have heard of call Pet Finder (www.petfinder.com). Pet Finder matches dogs, cats, and other companion animals who are in need of a home with people who enter in particular search criteria. A word to the wise if you are using Pet Finder or thinking about using it: Look every single day and if you see a pet that you are interested in jump on it because he or she may be gone in the blink of an eye. 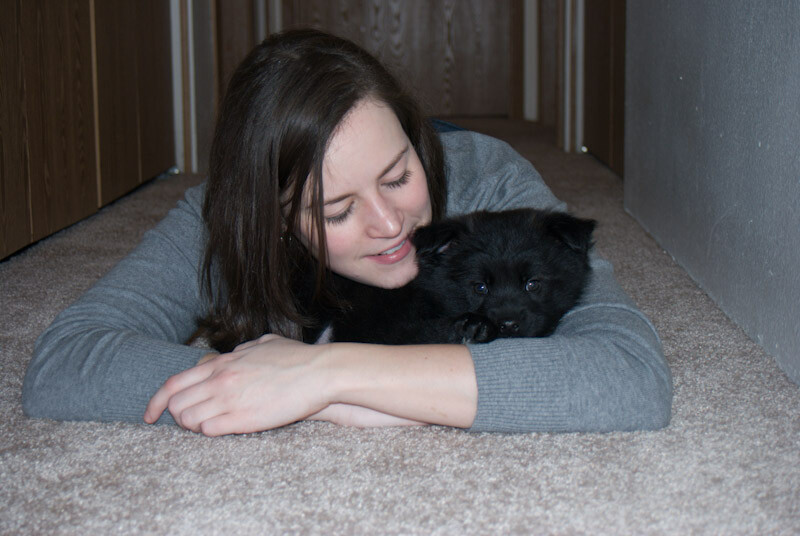 On one particular day in January of 2009, I found an eight-week old puppy on Pet Finder who was available at a local rescue called People United for Pets (PUP) (www.peopleunitedforpets.com). 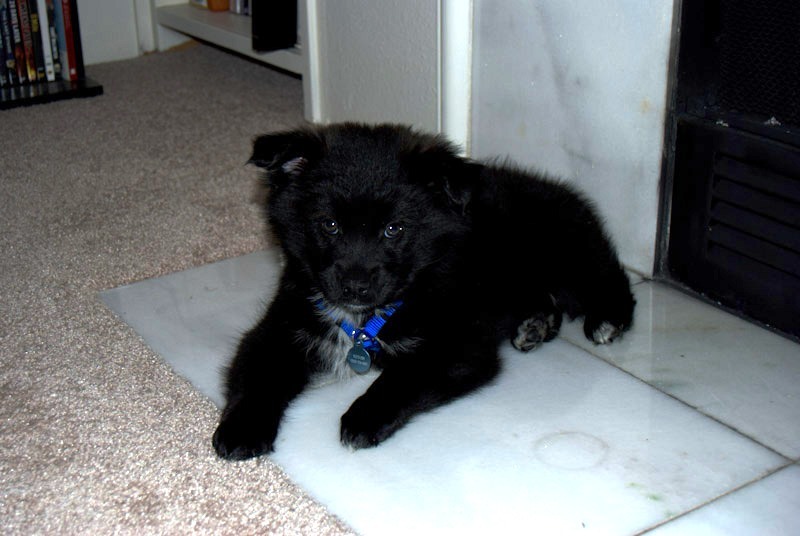 His name was “Shadow” and his listing said that he was an eight-week old American Eskimo Dog and Keeshond mix. I had experience with Keeshonds, as well, because my grandparents had two of them. And I knew enough about American Eskimo Dogs to know that they were very cute and very smart. So, we decided to go for it and one seven page adoption application (well done, PUP) and 24 nail-biting hours later, we were scheduled to meet Shadow, and well, the rest, as they say it, is history. Needless to say, we came home that day with our new furry baby (who we named Teton, obviously) and our lives have never been the same. So being that tomorrow is Teton’s second birthday, I felt it was appropriate to go all Oprah on everyone and remind you that there are millions of pets out there who need your love. If you are ready to bring a companion animal into your life, please check out your local animal shelter or rescue organizations. Every single animal that is in a shelter or foster home is a diamond in the rough who just needs a reminder of how wonderful they are and how much potential they have. Won’t you be the one who reminds them? I promise you…your life will be more full than you ever imagined it could be. All right…no more soapbox. I’m off to snuggle the birthday boy. Posted on November 16, 2010 May 14, 2011 by Shannon	This entry was posted in This 'N' That. Bookmark the permalink.